Actually setting – and agreeing on – the date is really important to make this work. You both need to be on the same page and setting the date gives you time to mentally prepare and brainstorm ideas. 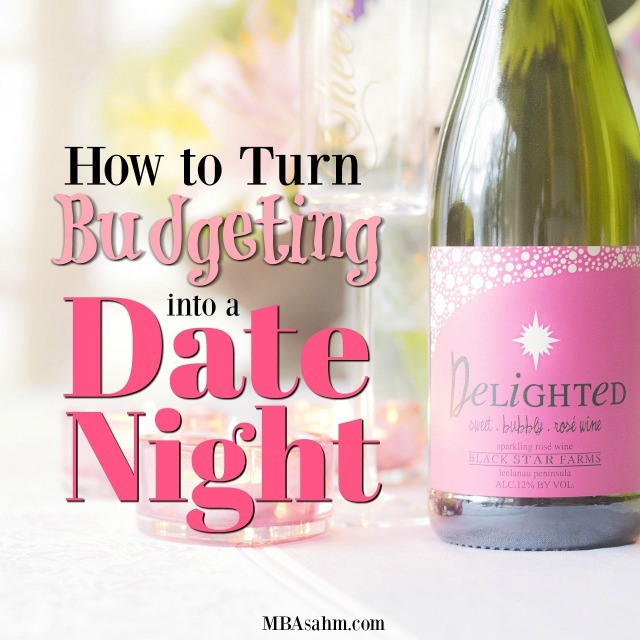 Even someone that loves Budgeting Date Night as much as I do isn’t always thrilled with a last minute suggestion to budget! So your first step is simple – just set the date. This is a date night after all, so do what you can to make it enjoyable! Put the kids to bed, pick out a bottle of wine and have some good food ready for it. This kind of date night goes hand-in-hand with your favorite take-out, so make life easy on yourself and order in. Ok, now it’s time to actually talk about the date itself. Specifically, how do you make budgeting enjoyable? Your first step is to focus on your long-term financial goals. You need to agree on your final destination before you can plan the road there. Think about what you both want and write it down! Come up with 3-year goals, 10-year goals, and 30-year goals (seriously). When do you want to retire? What vacations do you want to have in 5 years? 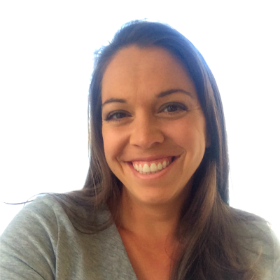 Are you going to help your kids with college? Do you own a house? Do you foresee moving? These are just some of the important questions you want to ask. And remember, this shouldn’t be stressful. These are your dreams! You just need to identify them and see if you’re both on the same page. You may be surprised by what your spouse has been thinking or planning. But if you can come up with shared goals, you are twice as likely to reach them! Ok, you’ve gone over your hopes and dreams and listened to your spouse do the same. You both are in great spirits (how can you not be??). So you’re ready to formulate your plan, but first you need a starting point – time to assess your current situation. If you’re awful at tracking your spending and earnings, this can be tough. But what you ultimately need to do is come up with at least 2 basic figures: what you earn every month and what you spend every month. My husband and I both use Mint.com (it’s free and easy), so I recommend you take a look at that if you don’t have a good system for tracking these two figures. Mint keeps track of everything and pulls it all together, so it makes this part simple. The reason for coming up with these figures is obvious – it’s your starting point! Once you know where you’re at, you can start to slowly but surely adjust those numbers to work in your favor. I’m going to get straight to the point here – you need to be spending less than you’re earning. If you aren’t doing that, then you know what your next task is – figure out a way to get there (more on that below)! Building wealth, achieving financial freedom, getting out of debt, retiring early – all of those things are dependent upon you BOTH spending less than you earn (because, remember, you’re a team here). It is the greatest indicator of wealth and the most important factor in budgeting: live below your means. Now for the exciting part! Time to come up with a plan to get your from Point A (now) to Point B (your 3-year, 5-year, and 30-year plans). I highly recommend you actually write (or type) this plan out and keep it somewhere handy so that you can periodically check into it. To build this plan, you first need to figure out how much you need to achieve your goals. If you’re not currently living below your means, how much do you need to cut out each month? To get your dream vacation, how much do you need to save? To reach your retirement goal, how much do you need to be putting away each month? Set milestones for yourself. Try to break everything down into years and then into months. What are your final figures? The final figures can sometimes be intimidating. But don’t let them become a damper! Remember, this isn’t about cutting the fun things out of your life, this is about making your dreams come true! So now it’s time to brainstorm and motivate each other to achieve your shared dreams! Ultimately, there are two ways to reach the figures you need: save money or make money. The rest of your date night should be spent trying to come up with ways that you do those two things. Saving money doesn’t necessarily have to be about giving things up. Often, making smart decisions is all you need to do. But before you start to get creative, take a look at all of your expenses and see if anything jumps out. Often, seeing the real numbers will trigger the best ideas. And sometimes you realize there are things you can cut out completely! For example, my friend recently took a look at his broadband provider to see if he could save some money on this service. He looked a price comparison websites like Usave. He managed to save a bunch on his outgoings. If you’re interested in doing something similar, check this out. Your Financial Freedom Plan will be constantly evolving and changing, so continue to have Budgeting Date Nights to update it and see where you are! Try your best to keep things fun and don’t forget – you’re a team! If you support each other, you are way more likely to achieve your dreams. Good luck! you definitely need to give it a try!! I’m telling you, it will change everything! 😉 good luck! Great post Nikki. Your advice makes sense and you offer practical solutions to make people happy by staying out of debt.